Epidote is assigned the general formula Ca2FeAl2(Si2O7)(SiO4)(O,OH)2. 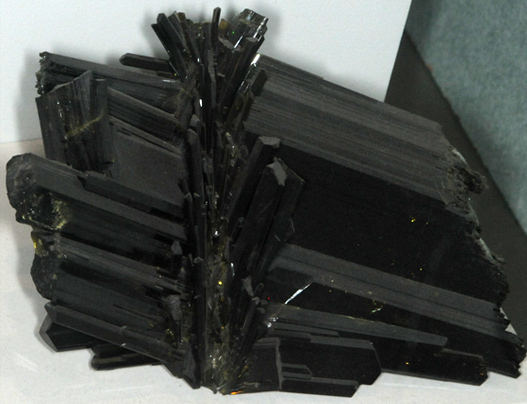 This sample is from Untersulzbachtal, Salzburg, Austria. 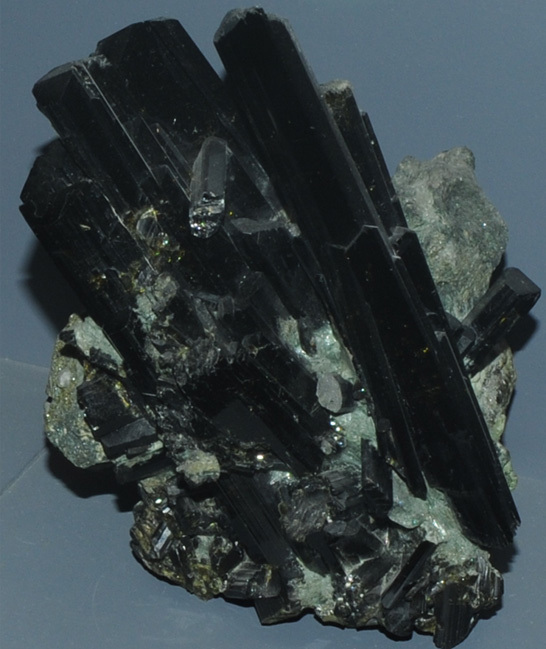 This sample is described as epidote with actinolite and fluorapatite. It is about 10 cm across. These samples are on display in the Smithsonian Museum of Natural History. This sample about 20 cm across and is from Green Monster mine, Prince of Wales Island, Alaska . This sample is about 8x25 cm and is from Julie claim, Mineral County, Nevada. The epidote sample is from Tulare County, California. It is about 8x20 cm and appears to be single crystal. This sample is from Untersulzbachtal, Salzburg, Austria. It is about 5x10 cm and is described as epidote with quartz. 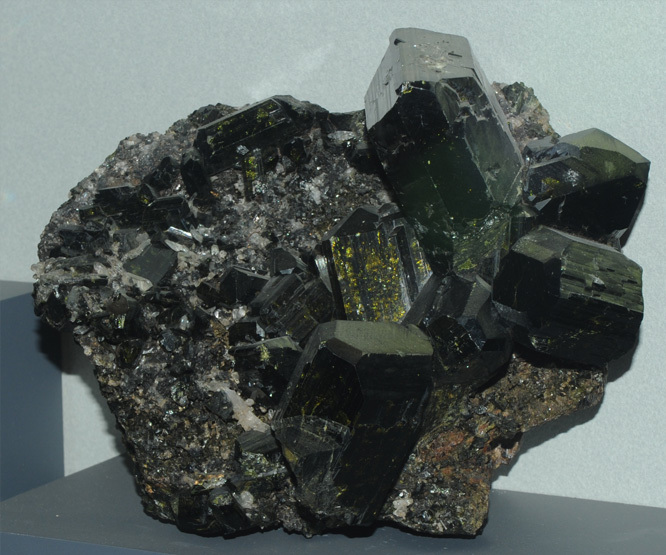 The column of epidote at right is 3x15 cm and the gem is 3.9 carats. The samples are from Untersulzbachtal, Salzburg, Austria. This epidote sample is 7x8 cm about and is also from Untersulzbachtal, Salzburg, Austria.